The internet has spread the gambling bug to those who'd never dream of going to a betting shop. 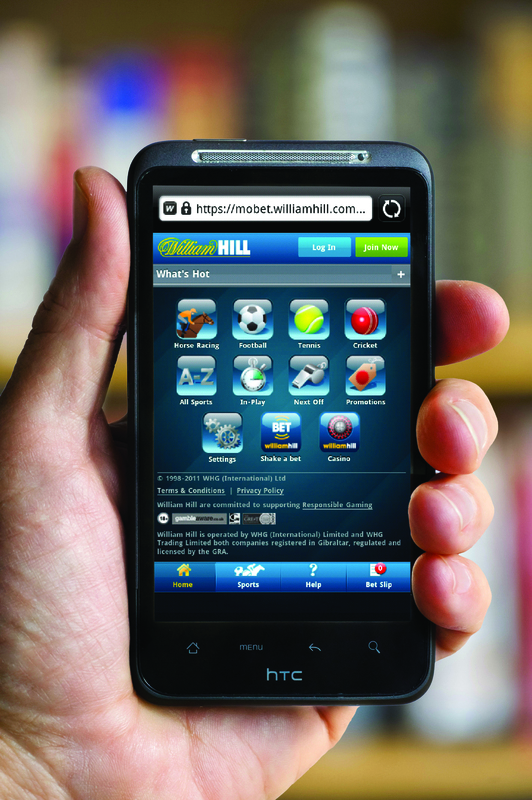 On a normal Saturday, William Hill posts six million bets - more activity than the Nasdaq. And the industry is growing and growing. The aeroplanes landing in Gibraltar's airport bank around that famous rock. Negotiating strong cross winds, they glide onto a runway that intersects with a road - an infamously tough landing that's an exercise in managed risk. And in an enclave of heat-baked, low-rise offices in this UK territory, there has been a boom that has lasted 13 years, as 'Gib' has become one of the most concentrated online gambling industries in the world, employing 2,400 people in a territory with a population of 29,000. Online gambling companies went to Gibraltar, Malta, the Isle of Man and Alderney in the early 2000s, lured by advantageous tax regimes of under 1% per bet, as opposed to the UK's 15%. Now Britain wants that revenue back. The Government's Place of Consumption (POC) Tax, due to take effect next year, requires online gambling operators to secure a UK licence, so tax will be paid where the customer is, not where the server is. Thus has British gambling joined the conversation started by Facebook and Amazon about offshoring tax - hence the POC tax. 'The Treasury reckons it will raise £300m in the first year,' says Warwick Bartlett, CEO of Isle of Man-based gambling consultants GBGC and a seasoned industry observer. Certainly, the gains are plain to see, as in an otherwise flat economic scenario, gambling looks extremely strong, and is ever more visible. In April, the Coates family, who run bet365 - one of the world's largest online sport betting sites - were mooted to be the UK's first gambling billionaires, with a business worth about £800m just 13 years after they launched the firm. 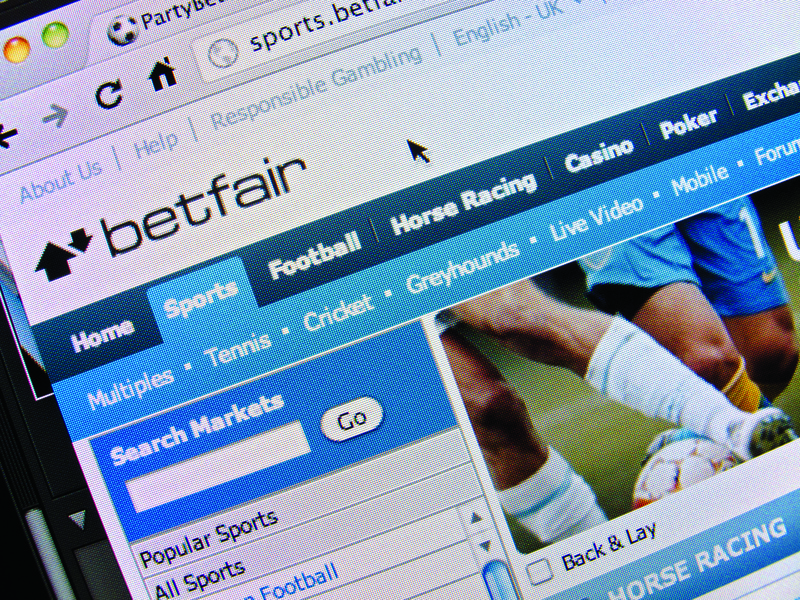 Betfair, the influential betting exchange set up in 2000, recently rejected a £920m bid from private equity firm CVC Capital Partners as not good enough. And in the latest Sunday Times Rich List, Britain's top 10 internet betting tycoons are each valued at more than £100m. Why wouldn't the Treasury want some of the action? The gambling industry has enjoyed an impressive counter-recessionary trend, particularly online. In 2008, the UK online sector was worth £1.27bn. By 2012, this was £2bn. The key factor is smartphones and tablets. Juniper Research estimates that betting on mobile devices alone will be a $100bn worldwide industry by 2017 and you'll be able to gamble on the bus or train, even on planes. On Britain's high streets, real betting shops have managed to survive, mainly by bringing in gaming machines known as fixed-odds terminals. 'But I fear that betting shops and their customers are dying,' says Donoughue. The key business action is online and the big high street players - William Hill, Ladbrokes, Coral, Paddy Power - have been joined by online giants Betfair, Bet365, Zynga and 888, with further newcomers from the tech world. Now money (as opposed to fun) gambling is starting to blend with social media. Last year, Facebook launched its first money gambling game, Bingo Friendzy, and in the US, Chris DeWolfe, a co-founder of Myspace, is launching a gaming studio with investment from Jeff Bezos of Amazon and Eric Schmidt of Google. 'Everyone is really expecting this to become a huge business,' said DeWolfe. As part of this surge in betting, any odds are possible. Horse racing is a diminishing part of a gaming landscape that ranges from sport - football, cricket, golf - to bingo to online casinos, as well as increased betting on reality TV shows such as The X-Factor and The Voice. There's consumer betting on the price of assets such as shares and commodities plus, as Ladbrokes's spokesman says, 'a rise in bespoke and "small books". The name of Will and Kate's baby is currently popular. And the opportunities keep on coming, with one big prize: the relaxation of online gambling in the US. Already generating $32bn annually in the US, it is set to soar as 12 US territories seek to liberalise their laws, and UK investors are mustering, along with casino operators. MGM Resorts and Boyd Gaming Corp have arrangements with Gibraltar companies Bwin.Party and 888. Rational Group in the Isle of Man, which operates real-money big-hitter PokerStars, has acquired the Atlantic Club Casino Hotel. It's the same in the UK. Bet365 supports about 1,700 jobs in Stoke. Betfair has 2,260 in London. And at betting shop level, too, the industry provides thousands of jobs that it would be folly to lose. Bailey sees gambling as part of his leisure life; harmless enough. 'I work hard and play hard. Classic.' He takes part in consumer-end financial spread betting ('after all, it's related to my job') and also sport betting, including bet-in-play (the real-time betting activity exemplified by Ray Winstone's grating advertisements for bet365 ('Bet in play. Nar!'). He uses the Betfair exchange for its 'better odds' and says that betting 'makes sports more interesting'. Bailey sees no problem at his level of gambling. Now we've lost out, as gambling could have been positioned as part of the hospitality industry. With its agenda for growth, the British Government should take heed of such enterprises, he reckons. So why won't we do it? Gambling has been legal and available on the high street since 1960 and online since 1995. But something about the isolated nature of online gambling bothers critics. The UK's chief scientific adviser, Professor Sir John Beddington, recently warned that online gaming was changing people's views of themselves and even threatened 'community cohesiveness'. It's easy to get in and hard to leave. Also, adds Donoughue, most online gamblers are on sofas, with friends and family. 'There are lots of safeguards,' he says. 'You need a credit card so the underage problem and the financial limit are normally solved. (Although there are new cash-based ways of paying, such as Ukash.) Companies noticing problem patterns can email customers and lock their accounts.' And there is already a system of 'self-exclusion' from betting shops. And, lest we forget, the National Lottery is the country's biggest flutter, without which we wouldn't have all manner of things, from cycle paths to the Tate Modern. The precedent for the disapproval, says Donoughue, derives from a Christian Socialist, 19th-century moral viewpoint. 'You still find it today. I had a conversation with a Labour party adviser who didn't like the "working classes" gambling. I mentioned the "nanny state" and she said: "I'm happy with that." But if you're poor why shouldn't you have entertainment? With lower stakes, and more things to bet on, there's a party going on that the killjoys don't understand. Of course, some people are susceptible to compulsive betting. Gambling, says Donoughue, is about the brain 'dealing with randomness. We don't know what makes certain people susceptible but it's the same as drug addicts, alcoholics... ' It's latent in some people and online won't change that. 'The ubiquitous access bothers critics but only if they accept the "exposure model": that if you increase access you increase the problem.' He adds that there has been no discernible per capita increase in problem gambling between 2000 and 2010 when online came in. But online does create problems, believes Harley Street addiction therapist Mark Dempster. 'There's no doubt about it,' he says. 'Look at the investment: the Ray Winstone adverts everywhere. There is so much investment in gambling.' The accessibility, the deals, the enticing free bets; all are creating 'a climate of acceptability' that will draw in new gamblers. Like Dr San, Dempster says his problem gambler client-base is growing, and is 'disproportionately drawn from the banking world. The 'reveal' usually occurs in a bank statement, particularly as, according to Dempster, gamblers are big users of payday loan companies. Nevertheless, online gambling does seem to be changing the working class, male, gambling demographic and luring the white-collar, educated, middle-income, young, tech-savvy and female gambler. 'It does seem to be more acceptable to be middle-class and have a punt,' says Donoughue, 'and we're seeing a growth in fair-weather gamblers.' One of the problems with betting shops is the 'threshold' - many people, particularly women, can't bring themselves to go inside them. 'I've observed a new kind of female gambler,' adds Donoughue, 'that play during the day when the kids are at school.' Online bingo is their taste and it is a sideways move from the 'ladette' drinking culture, reckons addiction specialist Liz Karter. The Gambling Commission's latest omnibus survey showed that 55% of women had gambled in the previous month. Dr Mark Griffin, a psychologist at the International Gaming Research Unit at Nottingham Trent University, has observed what he calls the 'feminisation of gambling. Remote gambling environments - internet and mobile phone gambling - are gender-neutral'. Of more concern is that online gambling could prove to be an entry point for children and adolescents, and gambling surveys carried out for the National Lottery Commission have pointed to this vulnerability. A 2011 study by Ipsos MORI, reported that 2% of 11 to 16 year-olds had played online lottery games.